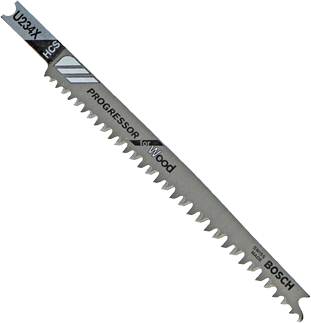 Bosch Progressor for wood blades offer fast, clean cuts through wood and wood products. Patented progressive tooth design produces fast cuts and long life in thick and thin materials. T-shank design for maximum grip and stability which fits 90% of all current jigsaw makes and models.